The show has a lot of potential, but it's limited by platform. I've been a Star Trek fan my entire life. It goes without saying, then, that I was eagerly anticipating the premiere of Star Trek: Discovery. Even through the myriad production delays and the departure of key behind-the-scenes staff, I remained optimistic. The casting was good. The promo images were good. The trailer was good. 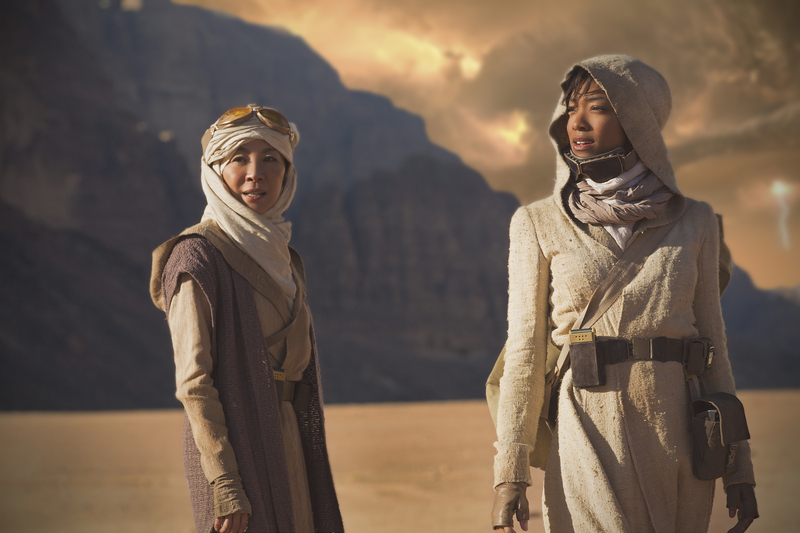 Now the first two episodes have arrived, and the question remains: Just how good is Star Trek: Discovery? This show is solid. It could even be great, given the chance. In fact, it seems just as good as anything CBS has on the air. So the question is: Why the requirement of a subscription just for US viewers? After all, it's airing on Netflix in the rest of the world, except Canada, where it can be seen on the Space channel. It's becoming increasingly clear we're past the point where you could subscribe to just one or two streaming services and watch most of what you wanted. More and more companies are creating their own exclusive services, but you have to have the content to justify that. CBS All Access, at least as it exists right now, does not. Because the other offerings on the streaming service are so poor (it doesn't even have full back catalogs of many of its own shows), CBS is basically asking people to pay $6 a month (with commercials) to $10 a month (without commercials) for the privilege of watching one show, maybe two. That being said, the strategy appears to be working: CBS claims it had a record number of sign-ups in a single day for the debut. CBS also has been on the defensive when it comes to its fall television lineup. The network didn't pick up a single show with a female lead (even though it has a high percentage of women viewers), which makes it all the more baffling that Discovery is confined to All Access. Here is a show with a black female lead. Why wouldn't you want that on your network, easily accessible for all to enjoy? It's doubly frustrating that All Access's other exclusive property, The Good Fight (a spinoff of The Good Wife, starring Christine Baranski), is also female-led. Additionally, at a time when it seems as though every headline contains dire news, we need Star Trek. It's always been a groundbreaking show, focusing on values of diversity. What we watch influences how we think about the world, and Star Trek shaped so many young minds. The idea that children from less affluent homes, who can't afford to subscribe, will be denied the chance to see a new installment of the show is upsetting. But it also makes the show difficult to talk about. I've been tweeting about Discovery quite a bit since it was announced, and at every turn, I'm faced with people complaining at me about the fee to watch it. I sympathize, even if I'm willing to pay for it. This discussion essentially derails any and every conversation around it. What's more, in the future, it will mean less conversations around problematic aspects of Discovery; those kinds of discussions can shape how shows grows and adapt. Fans of a franchise are often going to be less critical of it than those who are trying it out for the first time. Ultimately, CBS is shortchanging Discovery, a show with potential that is so much greater than what it's currently allowing. It's a visually stunning show. And it should be -- it costs about $8 million to produce a single episode. But Star Trek isn't about cinematics. The real fear among existing Star Trek fans was that, in trying to make the show speak to a post-9/11 world, and the desire to attract new fans, it would be too grim. It would erase the very core of hope and optimism that defines Star Trek. The show is dark, to be sure. It's also action-packed. It has the slick aesthetics of the movies. What this show does very well is marry the Abrams-verse look with the essence of a Star Trek television show. It's not the Trek we're used to, but expecting it to be the same show it was three decades ago is not realistic. They threaded a very difficult needle -- making this show relevant to our current times (which the franchise has always done) while also giving it the feel of Star Trek. And it excels at that. Is it perfect? Definitely not -- but no Star Trek is, and trying to hold this show to those expectations is unfair, to say the least. Plotting and dialogue are uneven. Additionally, the decision to treat the first two episodes separately, rather than making it a two-hour pilot, is baffling. It's one complete story that sets up the rest of the show, and the second half is the stronger of the two. Presumably, CBS wanted to give non-subscribers access to only half of it. But they shouldn't just be milking an existing fan base for cash; this has the potential to bring in new viewers as well. Star Trek: Discovery is too good to be hidden behind that kind of paywall. This is a show that deserves to unfold over years and be widely seen. It's got some growing up to do, and I'm eager to see it happen. I just hope it gets the chance.